[Bachelor in Paradise Spoilers Warning: Please stop reading if you do not want to know how each couple's romance ends on Season 5 and which Bachelor in Paradise bachelor and bachelorettes stay together or break up -- as well as who is still together now, and whether the finale ends with any bachelor and bachelorette engagements]. Bachelor in Paradise only has two episodes left, and they will air on Monday, September 10 and Tuesday, September 11. After each couple decides to break up, stay together or get engaged, Bachelor in Paradise host Chris Harrison will catch up with the cast during a reunion special on Tuesday. In addition to Astrid, Kevin, Krystal, Chris, Jenna, Jordan, Kendall, Joe, Annaliese, and Kamil, Bachelor in Paradise's other current cast members are John Graham, Olivia Goethals, Cassandra Ferguson, Shushanna Mkrtychyan, Kenneth "Diggy" Moreland, and Jordan Mauger. But according to Reality Steve spoiler blogger Steve Carbone, Kamil broke up with Annaliese onstage when Bachelor in Paradise's reunion special filmed on August 28. The crowd allegedly turned against Kamil when fans watched him break her heart. Carbone claims Kevin and Astrid, however, will shockingly decide to split before the round of overnight Fantasy Suite dates. But their romance didn't end there. Astrid and Kevin reportedly reconciled when they both got home and now they're dating again and things are going well. And in a surprise twist, Chris will propose marriage to Krystal at the end of the Bachelor in Paradise season! Carbone reported this spoiler in August, although he wasn't sure about the status of their relationship when he posted his first set of spoilers in July. At the cocktail party preceding the Final Rose Ceremony of Season 5, Kendall and Joe -- who have had a very stable relationship up until this point of Season 5 -- will reportedly break up. Now what about Jenna and Jordan? The couple has been shown taking each other very seriously and even talking about welcoming children into the world soon. On the latest episode, Jenna even discussed baby names. Well, not only will the couple make it all the way to the end of the season and get to know each other better in the Fantasy Suite, but Carbone reports they get engaged! Despite her connection with Diggy, Carbone says Olivia will give her final rose to John and then the couple will decide to go on an overnight Fantasy Suite date together. John and Olivia are reportedly still dating in the real world and trying to make things work. 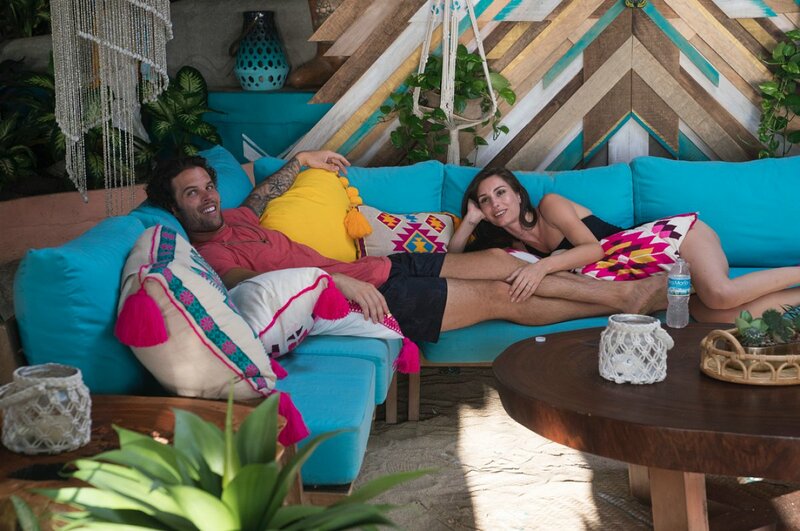 In an interesting turn of events, Chelsea Roy -- who was eliminated from Paradise -- is romantically involved with Nick Spetsas, who showed interest in the bachelorette very early on in Paradise but was eliminated at a Rose Ceremony. And what ever happened with Angela, who left Bachelor in Paradise with a broken heart thanks to Eric? Angela was reportedly spotted with Connor on the 4th of July in St. Petersburg, FL. Carbone reports they may be a couple now, which is interesting considering they didn't even date in Paradise. As the rest of the season unfolds, viewers will watch Shushanna date the last arrival of the season, JoJo Fletcher's The Bachelorette runner-up, Robby Hayes, who attempts to steal the heart of Jenna first. Skipping ahead to the Final Rose Ceremony, the guys who will reportedly be present are Robby, Jordan M., Diggy, John, Kamil, Chris, Kevin, and Jordan K.
As for what happens between Robby and Shushanna, they allegedly decide to leave the show as friends before the Fantasy Suite dates -- and Jordan M. and Cassandra decide to do the same.